Finally, tall girls everywhere can rejoice and find peace of mind knowing motherhood is no longer synonymous with the “shortcomings” of today’s fashion trends. 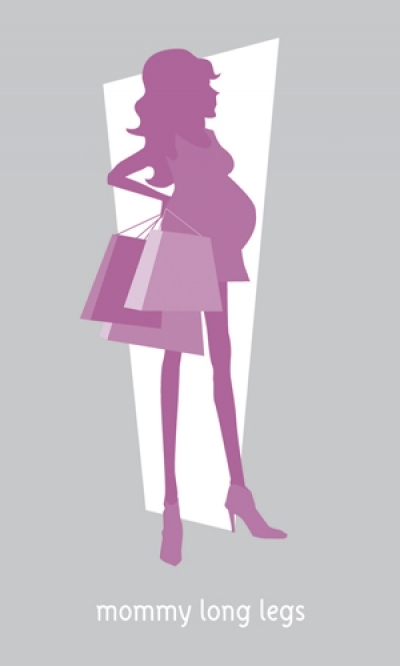 Introducing Mommy Long Legs, a line of tall maternity clothing. Mommy Long Legs offers tall maternity clothing with extra inches added in all the right places. Pants are available in different styles and with 34, 36 and 38 inch inseams. Our new line of tops (available Fall 2010) includes items with extra length added to the arms, belly, shoulders and torso. It is estimated that 12% of the babies born each year are to women 5’9” and taller. On average, there are over 4,000,000 births in the United States each year. This means almost a half million tall women are pregnant annually. Yet, this group of consumers is consistently overlooked by industry standards! Outsize apparel, or products that are specially manufactured and/or marketed as petite, plus and tall sized, remains the most dynamic segment of the apparel market. This is because of the changes that occur in this segment daily as well as the pro�t potential to be found in satisfying the right niches, in the right way. It is estimated that the proportion of outsize apparel in the world grew from less than 5% total market share in 1980, to 20% in 2008 – and will approach 40% in 2014, especially in certain countries such as the United States. Mommy Long Legs is in the unique position to help retailers meet the demands of this highly lucrative growth market. By aligning yourself with our specialty products, you will be primed and ready as the industry begins to recognize the taller consumer. As a branded line of clothing, Mommy Long Legs is available online and in retail stores across the country. The owner, Ashley Welch, and her partner, Mike Welch, have over 15 years of experience in business management, marketing and high-level sales. But more importantly, Ashley has a lifetime of experience with all-things-tall. At 6’2” for over half her life, she brings an acute awareness of the challenges facing tall women, especially in relation to retail sales.